Parents and families who choose Community of Peace Academy share our belief in educating the whole child – mind, body and will. At CPA, learning happens through relationships, and thrives within a caring, peaceful, and value rich community. We prepare our students to thrive in a multicultural and interconnected world with confidence, compassion, intelligence, and a positive regard for all. Our vision is to create an educated, empowered, and ethical community. Our mission is to foster academic excellence and character development through the education of the whole person–mind, body, and will. Parents are the first educators of their children, and their relationship to the school must empower them to fulfill this primary role. To this end, we practice Home Visits and build strong and long-term home/school relationships with parents and family members. At CPA, we owe our success to our dedicated and passionate staff. CPA teachers are consistently rated by students and parents as caring, supportive and committed to the success and wellbeing of each child. Unconditional positive regard for all is the fundamental principle underlying relationships within our school community. We accept and respect others as others accept and respect us, regardless of our differences. 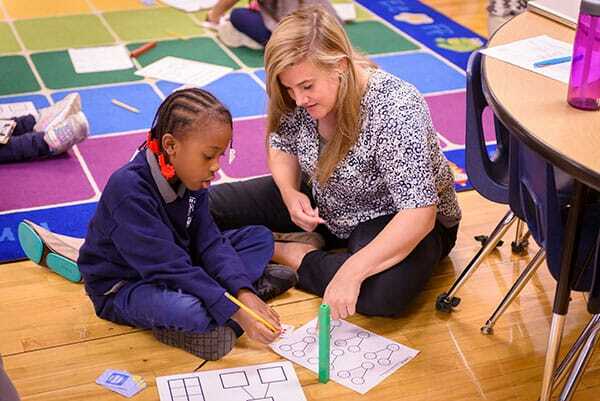 CPA’s academic program is designed to allow each student to reach his or her full potential. Instruction is personalized, and progress is monitored and shared. Critical thinking and academic conversations are fostered. Technology enhances teaching and learning. Service learning, retreats and field trips connect the classroom to the broader community, encourage ethical decision-making and enable students to have vision beyond their immediate realities.